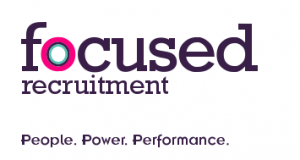 Focused Recruitment is a leading, independent Wales Fast Growth 50 recruitment agency based in the Caerphilly region. We have specialist divisions for the sectors we supply into. Guided by mutually agreed KPIs and guaranteed service levels, we are passionate about delivering exceptional results. All our recruitment solutions are tailored to meet specific needs, allowing us to earn our trusted, reliable reputation by consistently and efficiently supplying high quality candidates. Focused Recruitment is relationship-driven and committed to flexible long-term partnerships with both clients and candidates. Our experience shows this delivers the best results for everyone. Our Case Studies and Client Testimonials speak for themselves.